More: What Is an LMS? There are now dozens of different types of Learning Management System, or LMS, used by organizations to manage e-learning and deliver course materials to employees. And while these systems typically share a common purpose — to manage and administer a curriculum to a large and sometimes scattered workforce — the individual features of each of these platforms can vary pretty widely. This is typically one of the first dilemmas organizations face when choosing an LMS: Free, open-source software, or a commercial platform? Certainly both have their benefits. Free, open-source software has a pretty clear upside: It’s free. Also, because the source code is open, it can be modified to be highly customizable for each organization. However, most free LMS products tend to be more complicated than commercial products — typically they are utilized by more sophisticated users. Further, without a reliable “support” system in place, making even small changes can be difficult for a novice user — support usually takes the form of online forums or (sometimes) a separate, paid support service. Commercial software, on the other hand, offers users a support staff, and tends to be much easier to deploy, and use. But of course it costs money. Among commercial LMS products, there are typically two main forms: Installed, or the service-based cloud option. One of the most important elements of an LMS is the ability to scale up or down quickly and easily. Commercial LMS products are typically sold as either a locally hosted enterprise product, which is hosted on an organization’s own servers, or as a Software-as-a-Service (SaaS) offering, which is hosted on the vendor’s servers and is accessible from anywhere (the data is stored in “the cloud”). Generally, cloud-based SaaS products offer trainers more flexibility when it comes to scaling up or down. Because the product is sold as a “service” (usually monthly), the burden of making systems upgrades, freeing up bandwidth, and providing IT support falls on the vendor, rather than the customer. Because data does not have to be stored on local servers, scalability isn’t a concern; most SaaS LMSs can ramp up or down by thousands of users with ease. 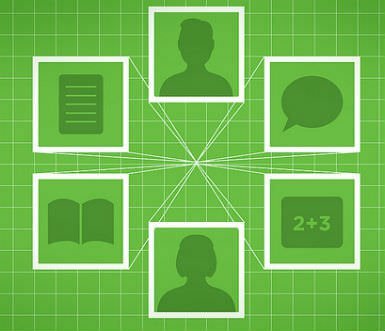 A locally installed LMS offers users the ability to individualize and customize their LMS. So if an organization already has an IT staff in place that can administer the system, handle support and customization and scalability concerns, a locally hosted LMS can be powerful. If not, a SaaS hosted platform may make more sense. Another thing to look for in an LMS is whether it comes with the ability to create training content. In some cases, an LMS is simply a tool to distribute course content, which must be created in a Learning Content Management System elsewhere (see our article on the differences between an LMS and LCMS). Some LMS systems, however, do come with some authoring tools that allow trainers and designers to develop their own unique content. Other LMS vendors offer separate course-creation tools for purchase, while some offer no authoring tools whatsoever, and instead rely on third-party course materials. Learning Management Systems have come a long way from the earliest days of e-learning. As LMS systems become more sophisticated, one of the most exciting developments is the ability for the system to integrate with other applications your organization already uses — whether that’s internal calendars, email, or social networks like Facebook and Twitter. Other LMS products may also integrate closely with talent management systems, which tend to focus on providing support to Human Resource staff functions like recruiting, performance management, and payroll. Depending on your organization’s needs, you may keep an eye out for an LMS that features this sort of app integration. By focusing first on the way your organization plans to roll out its online training and e-learning initiative — and also focusing on how much flexibility you’ll need in the future — you can begin to narrow down the wide field of LMS products on the market, and find the right one for your organization. Image used under Creative Commons by opensourceway.